To better assist in your search for legal representation in Norwell, Massachusetts, and the Plymouth County area, we have compiled this page of quick links that should make it easier to locate exactly the information you need. If you have any questions that are not addressed on our website, please call The Law Office of Stephen M. Dodd seven days a week. 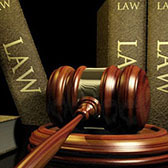 We look forward to assisting you with your legal needs.